African Tribal art pricing is not intuitive and is very subjective. Premiums can be based on provenance, age, patina, originality, rarity, and any number of other less material factors. Mumuye location : Northeast Nigeria, below the Benue river. 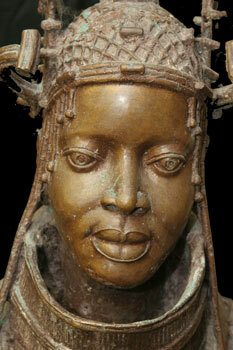 The Mumuye have an interesting statuary tradition in the Iagalagana. These were used as abstractions of incarnate tutelary spirits. The recently acquired ‘Claiborne Mumuye’ from the Liz Claiborne and Arthur Ortenberg collection was purchased at auction. It’s one of the ‘providential’ cases where a piece with a Sotheby’s provenance was not advertised as such, however this did not materially detract from the bidding. In the piece shown above some of the interesting factors include the slight tilting of the head, the cubist forms, and the sculptor’s longitudinal development of the chest area. 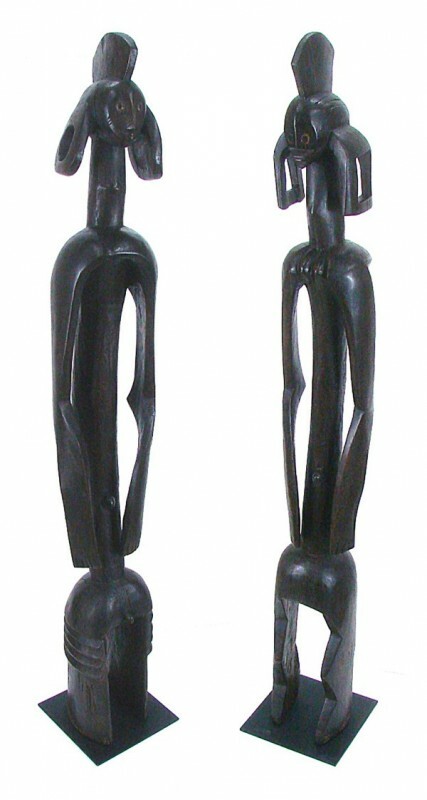 Mumuye Buddies – AplusAfricanArt collection. One of my pet theories in developing relationships with customers is having comfortable price points, not just from the customer’s end but also from the dealer’s end. Invariably this requires acquiring, and keeping a couple Stars, and developing the concept of the Halo effect. 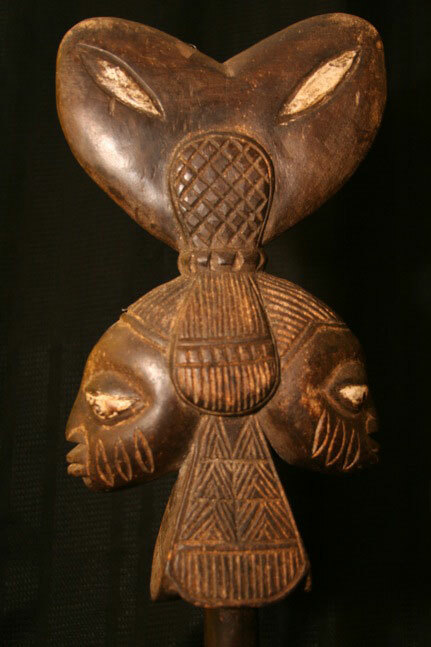 This allows customers to understand much of the pricing dynamics inherent in investable African Tribal art. While I am not a huge fan of provenance the fact is that it has become a major pillar in an entire industry, and once understood enables customers to more comfortably purchase affordable pieces of African Tribal Art. Currently one of the amazing (read as disappointing) aspects of Collecting African Tribal Art is that the African American community for the most part remains largely uneducated about the beauty of their ancestral art forms, and have pretty much been priced out from serious collecting, (see interesting ends to the collections of Bayard Rustin and Merton Simpson).